With Shimano's revamped Road Performance (RP) line, the SH-RP9 is their flagship shoe, providing performance, efficiency, and unparalleled comfort. 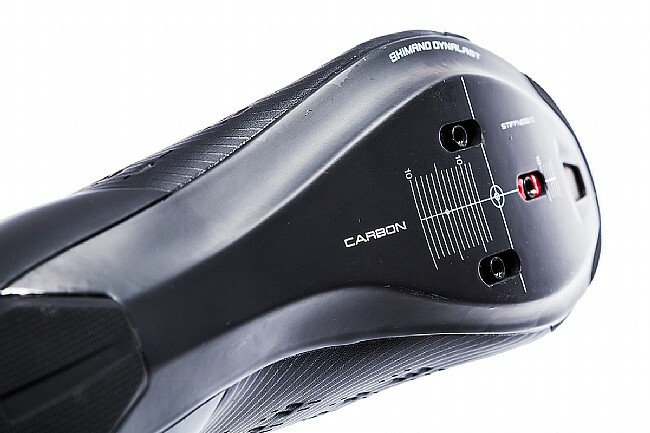 Redesigned for 2018, the new RP9 resembles Shimano's game-changing S-Phyre RC9 Road Shoe, featuring their supple, stretch-resistant seamless one-piece upper and curved extended heel cup. Designed for comfort, this supple upper wraps around the foot, cradling it for a superior fit, and featuring ventilation-enhancing perforated venting dimples. 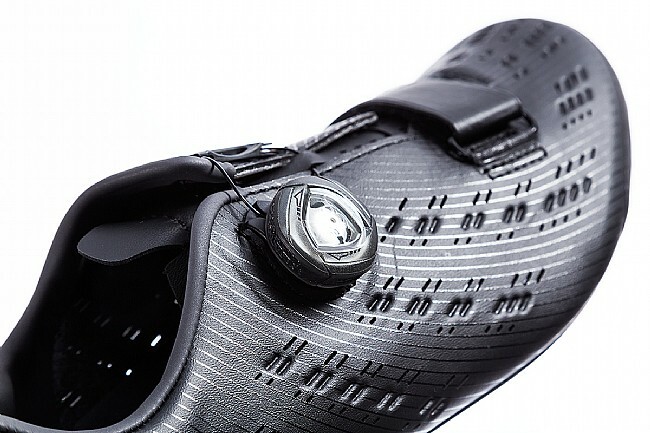 Complementing the superior fit and comfort, Shimano employed a Boa® IP1 dial and forefoot strap for excellent adjustability and sleek aesthetics. 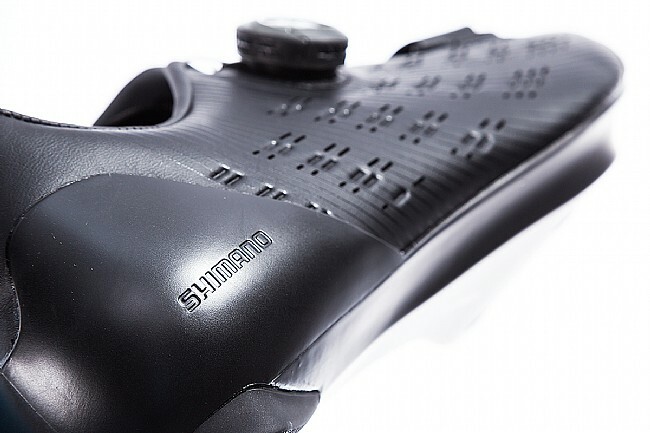 Inside the shoe, Shimano's high-density insole features adaptable arch pads for a customizable fit, as well as an increased cleat adjustment range for further fit options. 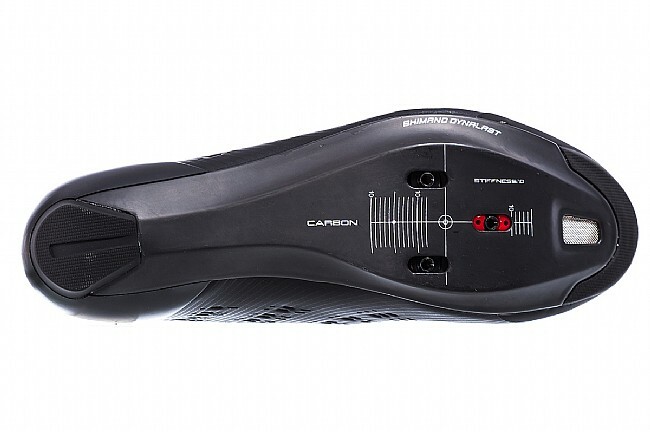 Down below, the carbon outsole optimizes stiffness, providing efficient power transfer for long rides. 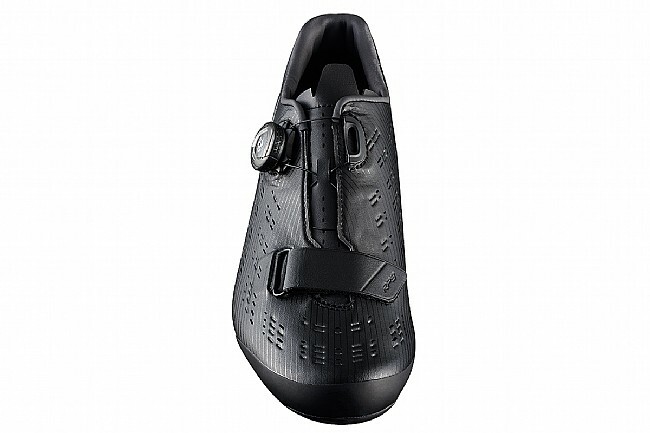 The Shimano SH-RP9 is compatible with 3-bolt road cleats. Supple, microfiber synthetic leather with perforated venting for superior fit. Micro-adjustable Boa® IP1 dial with hidden wire routing. External curved heel cup secures the heel and foot. Durable, wide heel pads provide walking stability. Optimum linkage of air flow over upper, insole and outsole. Claimed weight: 224 grams (size 42). 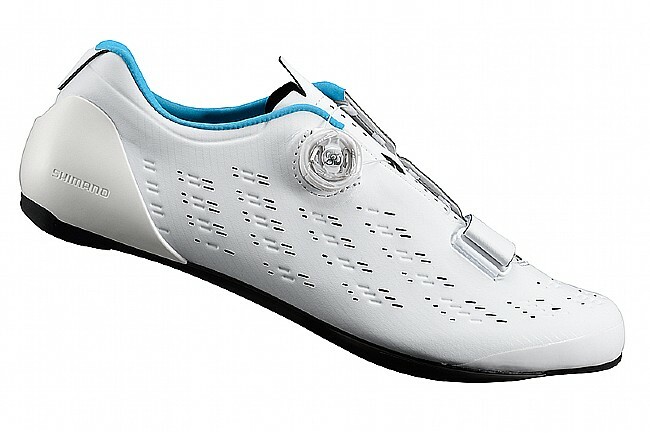 I purchased a pair of the Shimano RP9 Road Shoes for the Trans Am Bike Race. The shoes were excellent providing a stiff platform for hammering out the miles. Easy to adjust on while riding as well as incredibly light. I like them so much I bought a second pair. Light weight shoe with great materials and flawless workmanship. I really like the sleek styling. The fastening system is quick and easy to use, providing an excellent customizable fit. Sizing is true. I'm a US size 12 and fit well into the EU 47. Cleat mounting was super-simple. The shoe overall is not as well-vented as others I've worn. It's great on cool mornings, but when the temperature gets into the 80's, my dogs are toasted. If your feet run cold, this is a great choice. If you cycle in warm climates, maybe not so much. Fourth pair of Shimano shoes and I stick with this brand as my foot is wide, but not so wide as to buy a specific wide-sized shoe. I've found Shimano shoes leave a little more room in the toebox and work really well for me. The RP9 is a step up from my last pair but the materials in the upper seem to sacrifice comfort for weight as they just don't feel that good to wear. I've probably ridden them 500 miles now, and they are better than the start, but fully broken in I still don't love them. I do like the Boa closure and the outsole is definitely stiff, but the upper materials are thin and just not that flexible. I'm pretty picky with shoes, and these are pretty solid. I really appreciate the extra toe box room and comfort for what otherwise feels and performs like a top-shelf racing shoe. The downsides are that they're a little pricey for a single-Boa shoe, and that the dial's positioning initially places pressure on the top of your foot (this goes away once broken in, but it was almost a dealbreaker initially).